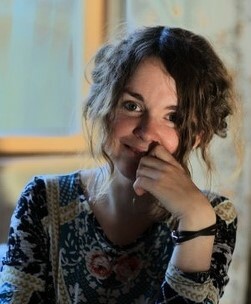 Liubov TUPIKINA is a post-doctoral researcher in the group of Dr. Denis Grebenkov at the laboratory of Condensed Matter Physics of Ecole Polytechnique. She has graduated from Lomonosov Moscow State University, Russia (Diploma in Mathematics). She defended her PhD thesis in theoretical physics in Humboldt University of Berlin as part of Marie-Curie LINC project in Potsdam Climate Institute Germany in the group of Interdisciplinary methods on the topic “Temporal and spatial aspects of correlation networks and dynamical network models – analytical approaches and physical applications”. Her interests are in the theory of stochastic processes, statistical physics of complex systems, in particular, understanding the transport phenomena in complex systems and anomalous diffusion in living cells. She developed methods to study complex systems using graph theory and is now working on out of equilibrium physics and irregular geometries, which can be found in, for instance, some porous media structures.